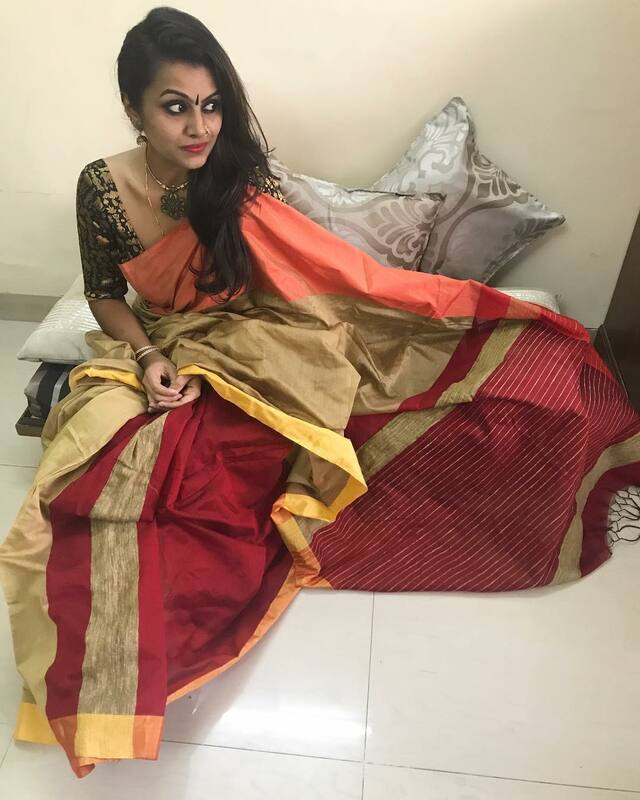 Hello Saree lovers! Today we have some good news for you. 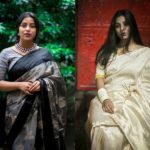 This post is about introducing a stylish woman whose fine taste for sarees is making waves in Instagram right now. Are you in Insta? 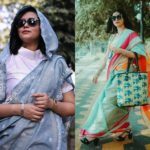 If so, you need to catch her feed to get some real inspiration on how to build your own personal saree style. 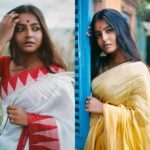 If you are not into instagram, we urge you to get your account ASAP at least to have a look at this admirable saree lover on this social media platform. 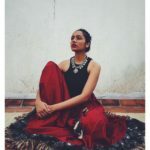 The women who we have been so glued to, and in awe of is Swati Mukund, who just blew us off with her enviable saree pictures every day. Her sarees are always flawless aided to look super cool with right choice of blouse and bold jewellery. 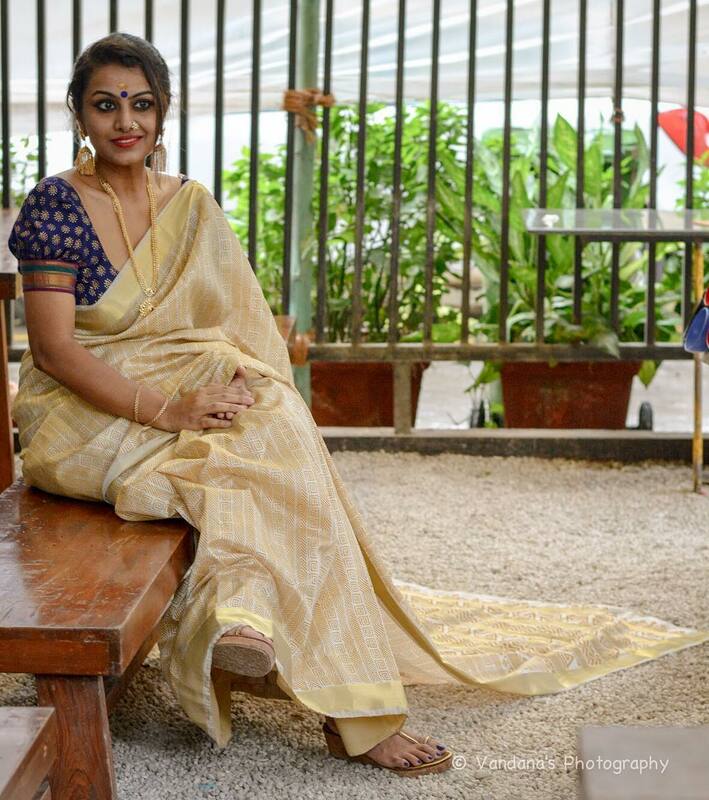 In short, she knows how to put together a right saree, a well stitched blouse and apt accessories. 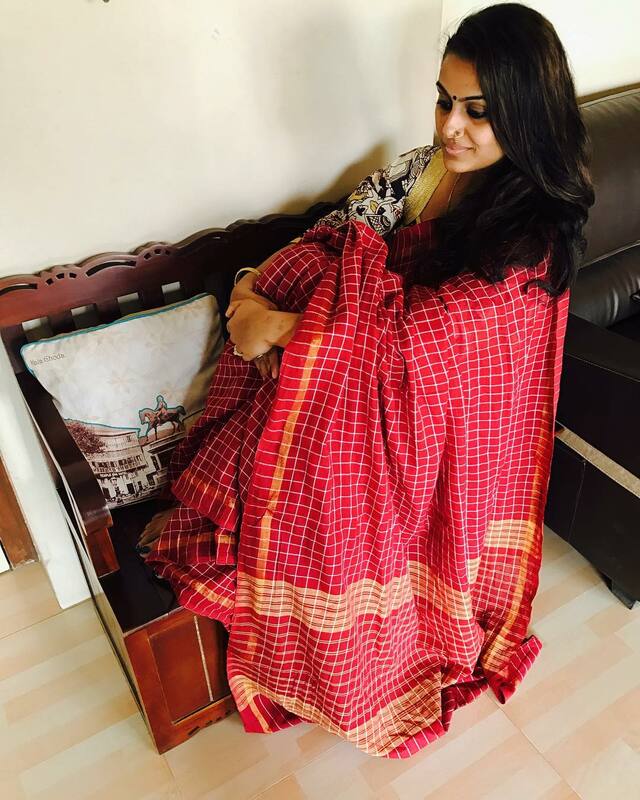 If you follow her religiously you will without a choice get to perfect your own saree style in matter of days. That’s how inspiring her feed is. So piqued? Scroll down and take a look on few of her pictures below. For the rest, follow her Instagram profile here. We strongly recommend you to catch a hold on her insta pictures to get real motivation. In the process, you will also unearth gem of online clothing and jewellery brands that she has been endorsing. 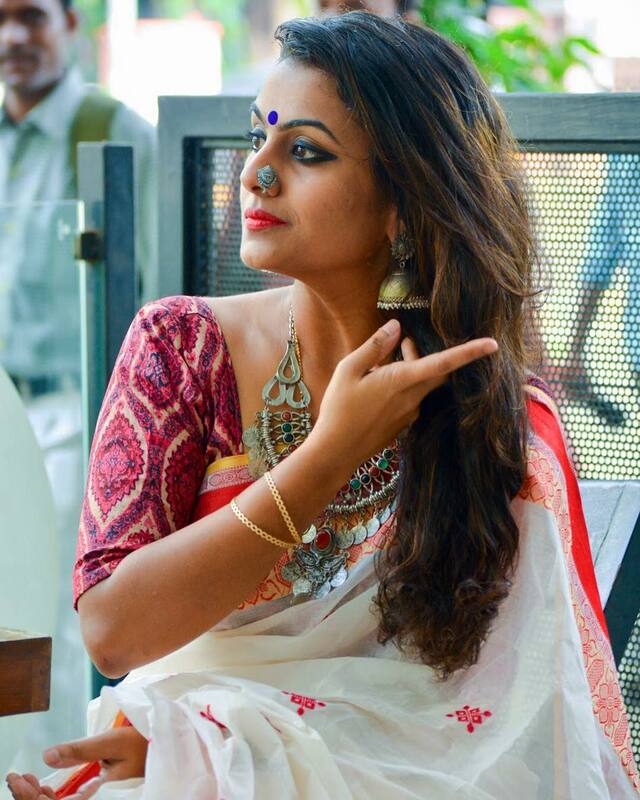 Above all, you will figure out what a bold bindi and nose pin can do to your saree. Yes, we just can’t take our eyes off from this. If you know any interesting Instagram bloggers who have a fine taste for Indian ethnic fashion, do drop a comment and let us know. We will feature them here. Also Read : Follow This Instagram Account For Wearable Fashion Inspiration! https://www.instagram.com/style_chic_siya/ Kindly check my insta feed.. If you like it.. Do feature me.. Thanks and regards. Thanks for reaching out. Will definitely feature your styling tips on our blog. 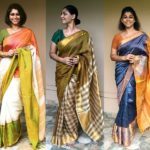 An Indian woman’s wardrobe is incomplete without a unique collection of Indian silk sarees. These sarees are generally worn in weddings, festivals, temples and other pooja ceremonies. 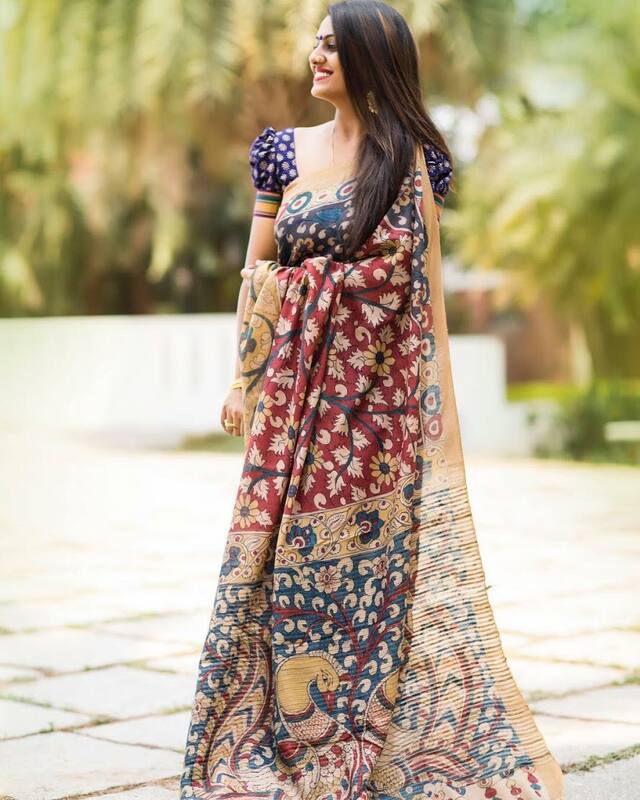 Silk sarees of India’s different states vary in style and design. 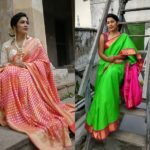 Beautiful sarees, you look lovely. Those sarees are looking gorgeous.Thank u for sharing. You saress collection is to good and your traditional outfit is awesome.. Awesome blog. 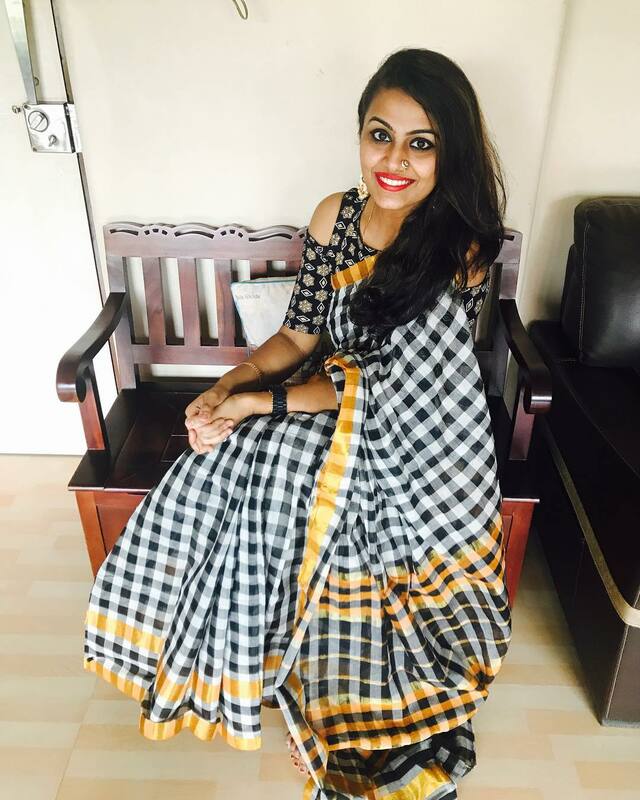 Amazing saree collection. 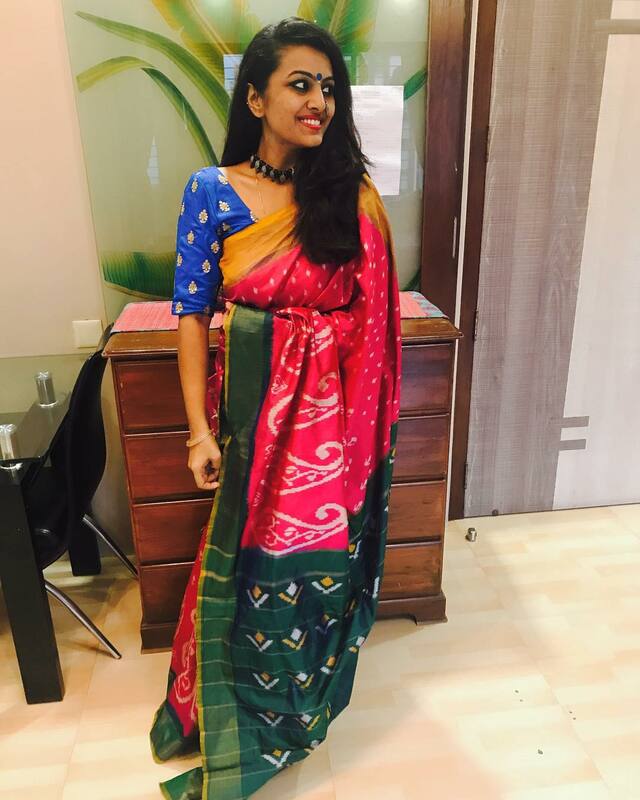 For more ideas laedy fashion wear to saree. Perfect fashion sense.. 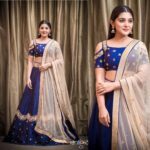 Traditional sarees outfit more glowing your outfit.